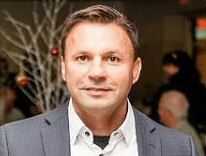 Joe Morone, international speaker, trainer and author will cover the basic elements of The Smart Sales Method. The Smart Sales Method allows sales leaders and sales personnel to improve their sales results by up to 100%. Sales teams will learn the statistically most proven way to win business to business sales in the shortest period of time. The primary focus of this program will be on prospecting or what we call today, lead generation. What to say in the first 5 seconds of the call and what is said in the next minute of the call, the 5X1.